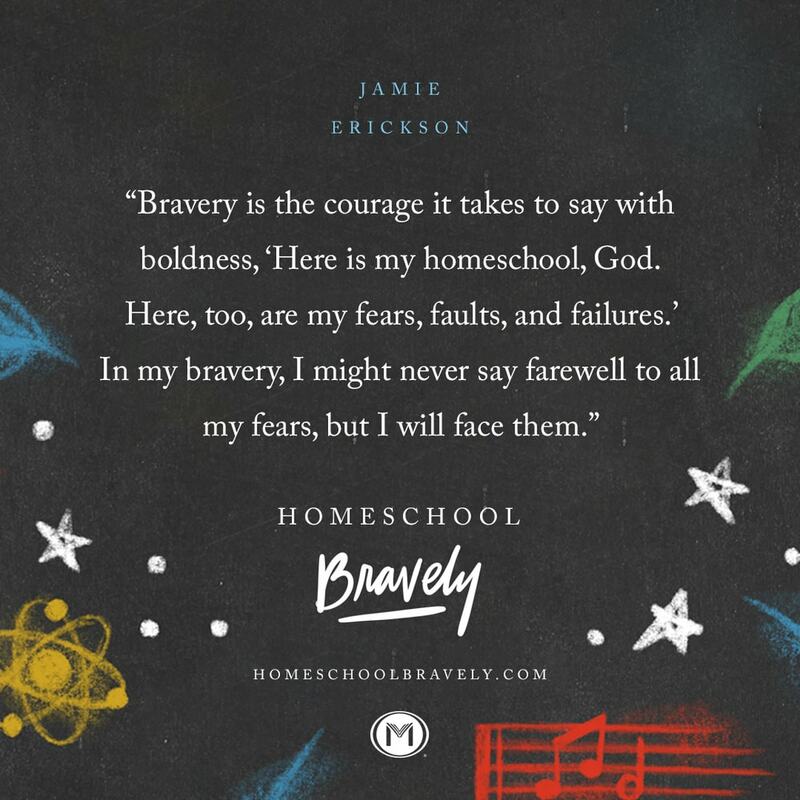 I grabbed a copy of Homeschool Bravely by Jamie Erickson recently and it was totally a God send. Let’s face it, this homeschool thing can be hard from time to time. Burn out is oh, so real and it can be difficult to overcome. But, Jamie reminds us through out the book that God has fully and beautifully equipped us to homeschool our kids through all seasons. First of all, can we talk about the cover? As soon as I saw it, I knew I had to have it. I didn’t even care what the content was (yet), I just knew that I had to have it on my shelf as soon as I laid eyes on it. I know you’re not supposed to judge a book by it’s cover, but whatevs. I did. And the content totally lived up to it. This is me, a little too exited when this book came in the mail. Or maybe just the right amount of excited. You decide! The book is split into three sections- The Fear, The Struggle, and The Solution. But, don’t let the section titles fool you- there are solutions sprinkled through out the entire book. And each and every one of those solutions point back to how God has equipped each and every one of us to homeschool our kids. In The Fear, Jamie will make you look at yourself, look at your homeschool vision, and encourage you to take a step back and put it all in the hands of God. I know that you know that social media can bring up all kinds of comparisons and steal our joy, but she gives the most simple advice to focus on our strengths, focus on His strengths, and to not let comparison steal the show. In The Struggle, each and every one of us can relate to the struggles with a kid with learning difficulties, with little ones tearing up the house, and with the tug-of-war that is just the territory of being a homeschooling parent. You are not alone in your struggles and you will feel the love pouring out of Jamie as she walks you through this section of hope. Guys, the chapter on homeschooling with little people around totally spoke to me. It’s like Jamie was in my house witnessing the chaos of homeschooling two kids while having a one year old try to tear the place apart. She’s been there. She gets it. And that gives me so much hope that I can do it, too. In The Solution, I felt myself constantly lifting my hands up in the air with a resounding, “Yes! 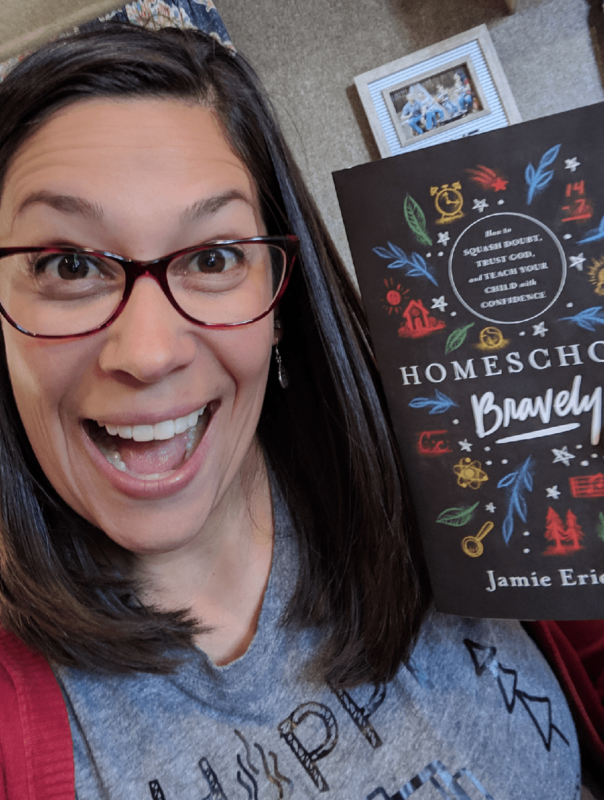 !” because each and every solution Jamie has is what is on my mind and heart when I chat with a struggling homeschool mom. Guys, this book has everything I’ve ever said or wanted to say to another homeschool mom when we’ve been deep on conversation about how to make homeschooling more doable, more joy filled, and the way it’s just meant to be. Want a conversation with a mom who has been there and done that in homeschooling to bring you encouragement? Just pick up this book and you’ll be getting the most practical advice full of love and hope. This book makes for a great read in the quietness of the night. It makes for the perfect book club read. I know I will also be picking it up when I need those words of encouragement during a hard day. Ready to squash doubt, trust God, and teach your child with confidence? Add this book to your Amazon cart now, friends. You’ll be happy you did! Want to join more homeschoolers and build your community? Join my online homeschool group.